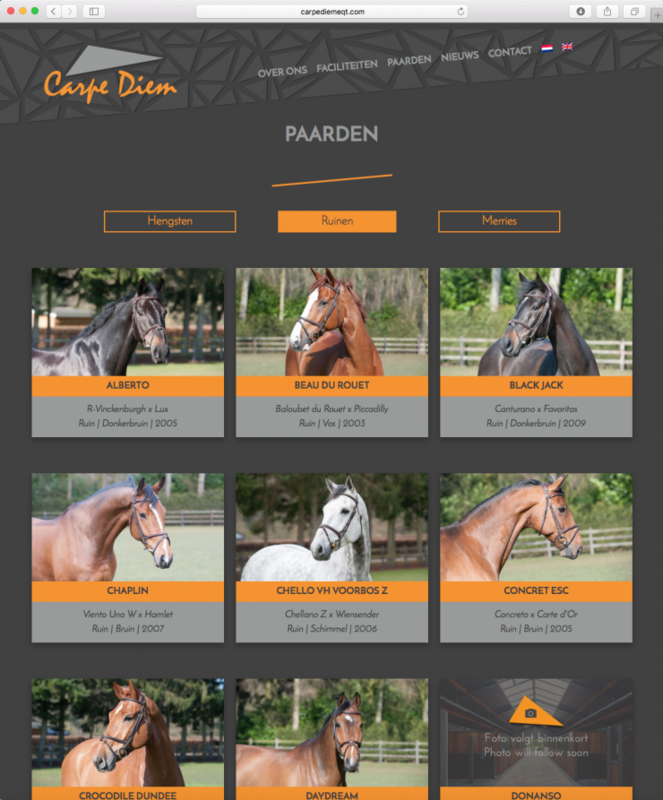 The Turkish Efe Siyahi and Avni Atabek founded Carpe Diem Equestrian Team in 2015. 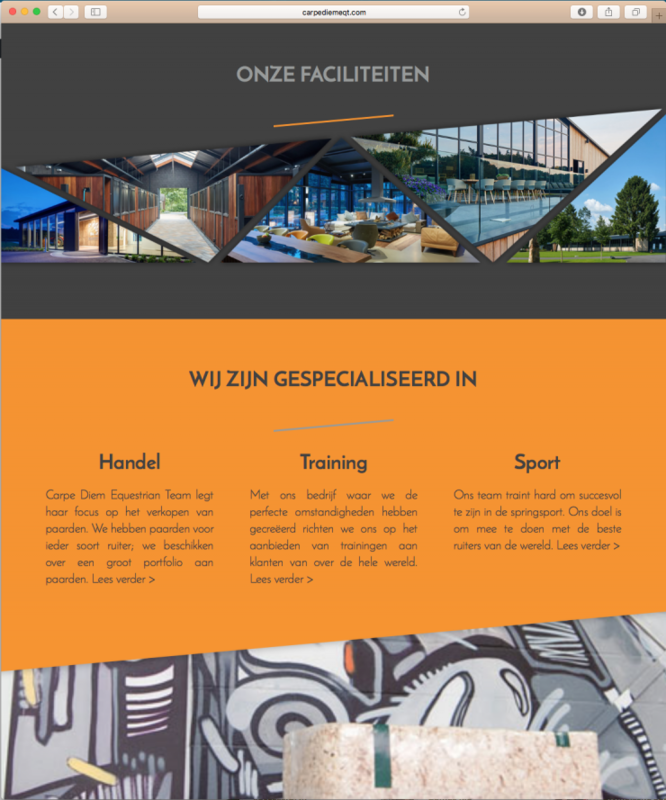 The stable is located in Baarlo, Limburg province, and is up and coming in show jumping. Event and marketing agency Equine MERC was asked to develop a customised website. We were willing to take the challenge and the result is great! The distinctive style of the sport and trading stable is introduced into the finer points. 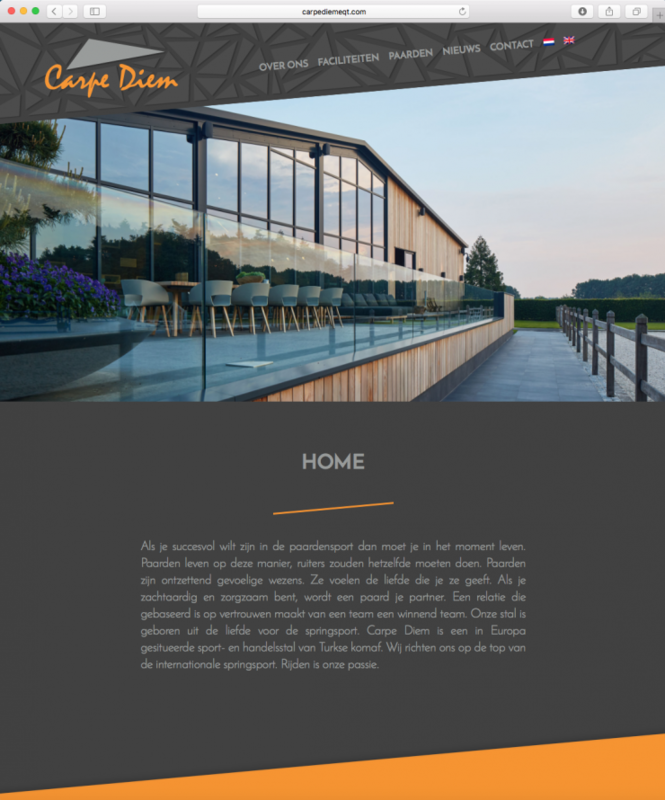 Because the site is customised, the visitor has almost the same experience as if it would visit Carpe Diem in real life. Only perfection is good enough for Carpe Diem. Therefore a customised website was the only logical option. The site provides visitors with all comforts. Visitors can find wonderful videos of the company and all horses are clearly mentioned on the site using our own plugin. We are very proud of the result. Check it out yourself by clicking here. Enjoy!